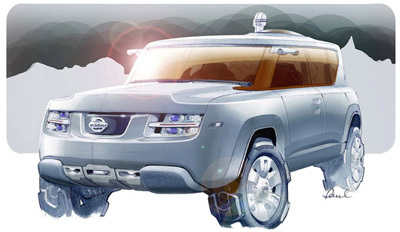 London-based Nissan Design Europe. 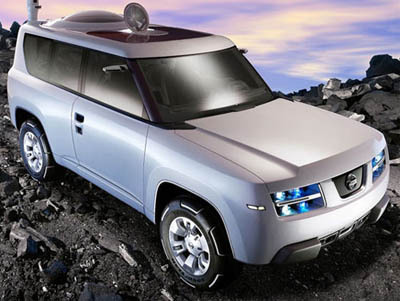 The concept, which was shown at the 2006 Geneva Motor Show, is a vehicle designed specifically for scientists, geologists, archaeologists or any other professionals who work in inaccessible and challenging environments. 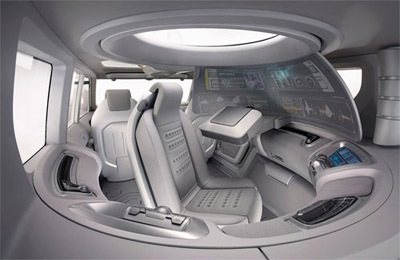 The cabin of the Nissan Terranaut holds 3, a driver, a passenger, and a single rear passenger who has access to a wide range of computer, communication, and analysis equipment laid out all around the centrally mounted rotating chair incorporating a computer keyboard. 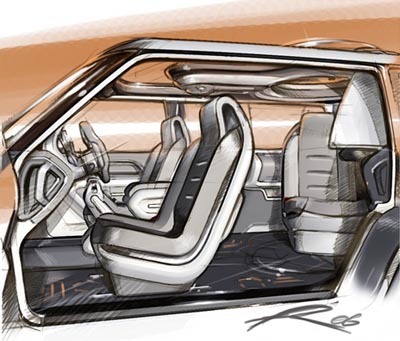 Access to the Terranaut's interior is provided by a single door on the passenger side, allowing for equipment to be positioned where the rear door would be, and a double door system on the drivers side. The rear-hinged rear door, and lack of a B-pillar on the drivers side facilitate entry and exit. 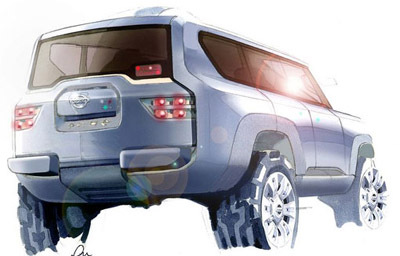 The tires of the Nissan Terranaut, courtesy of Goodyear, are designed for use both on and off the road. Puncture proof, they change their profile using air pressure to switch between on-road tyres, to aggressive off-road tyres.